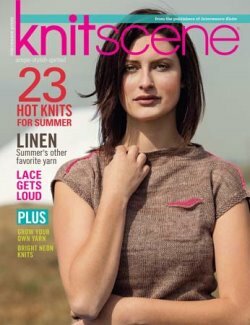 Stylish projects in linen-blend yarns or large-scale lace patterns help to beat the heat. Featured designer Grace Akhrem blends fashion and intarsia in chic colorblock projects. Plus, we review our top-picks for knitting products in trendy neon colors and highlight must-have lace knitting books and DVDs.